With just a few more hours remaining before the unveiling of the monster Samsung has created this year, the fourth gen Galaxy S device, despite the many leaks available we still have no conclusive details. While some leaks look good, the others just contradict these. So we have made a probable list of what you might get to see at the launch tonight. 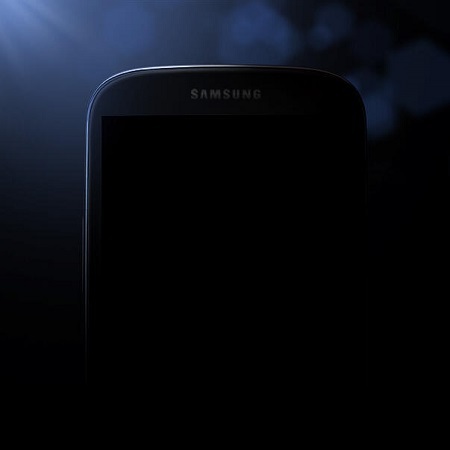 For now almost all leaks seem to concur that the Galaxy S IV would have a 4.99 inch fHD display with 1920 x 1080 pixels resolution. But we’re still not sure whether the newly rumoured PHOLED display will be in place or just the AMOLED display. The processor of the Galaxy S IV is something that has been troubling everyone. With most claiming that there will be two versions of Galaxy S IV with different processors – one with Exynos 5 Octa processor with eight cores and the other with a Qualcomm Snapdragon 600 CPU. The latter would be available only to the US customers. With 16 GB and 32 GB being quite standard in all new high-end smartphones, we expect the same retained in the upcoming Galaxy S IV. But we also expect a higher 64 GB version too. While most seem to confirm that the Galaxy S IV would indeed have a massive 13 megapixel camera, some also claimed that the lens would be 3D enabled. But the focus would be on the front-facing camera, to see if it indeed supports the much discussed Eye-scroll feature. With the latest offering from Google Android being Jelly Bean v 4.2.2, we are not yet sure if we would see the latest in the Galaxy S IV but we should see at least Jelly Bean v 4.2.1. Considering the complaints about the previous Galaxy S III which seemed to drain the battery, we are hoping for a bigger but not bulkier battery in the Galaxy S IV. Also it was rumoured that wireless charging might be coupled with the Galaxy S IV. That would be a +1. Though the earlier rectangular design seems to be out of question, the new design partially shown by Samsung seems to have appealed to the masses, especially due to the rounded edges. So we are yet to know how the entire Galaxy S IV would look like. Whatever it is that is in store should be revealed to us tonight. Whether the event is a hit or a dead show will depend on how the Galaxy S IV would control the stage tonight. We will update you with what happens at the much anticipated Samsung Unpacked event and how we feel about the actual Galaxy S IV. Stay Tuned to Mobigyaan.com. We’re “Ready 4 the next Galaxy”, are you?